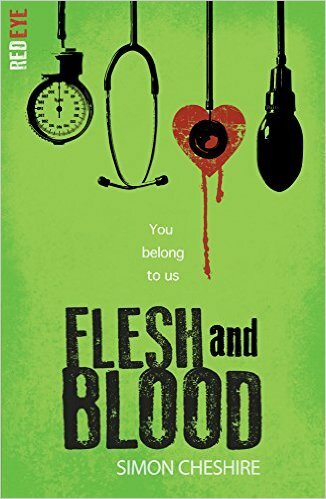 I know lots of people who hold Point Horror close to their hearts and one of those people is author Alex Bell ! 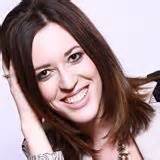 I asked Alex if she would like to do a guest post for us all about her love for all things Point Horror! She has kindly agreed! 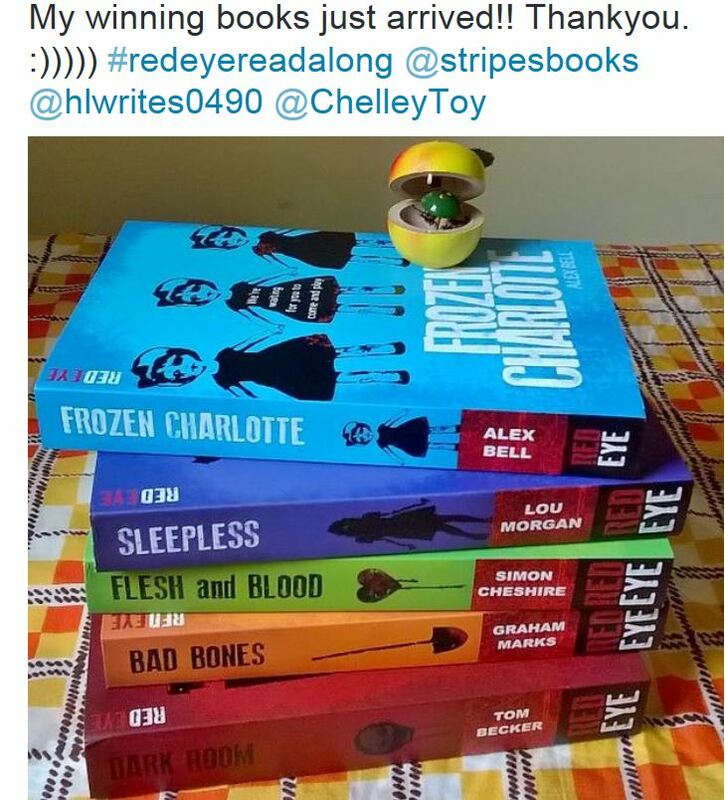 Check out Alex’s YA Horror read – Frozen Charlotte which is part of a new YA Horror series called Red Eye with Point Horror similarities! It’s awesome! It’s very exciting to have Alex here on Tales…I feel very honoured…so thank you so much Alex! Like many 90s kids, I absolutely loved the Point Horror series as a teenager. There was always something thrilling about starting a new one – the anticipation of freaking yourself out, reading at home all alone, eagerly hoping for horrors within the pages. 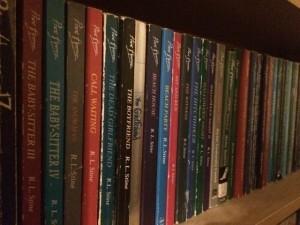 I didn’t come to Stephen King until much later so these books were my first taste of scary novels. Whilst writing Frozen Charlotte, I re-read some of the tatty old paperbacks I still had on my shelf, and Trick or Treat by Richie Tankersley Cusick, was still an effectively spooky, hugely enjoyable read – probably my favourite one of the series. The story centres around a girl called Martha who moves to a new town and, as soon as she sees the house where she’s going to live, she gets a strong sense of evil from it. This is particularly the case in one of the upstairs rooms, and she later finds out that someone was murdered there. The whole concept really strikes a chord with me. 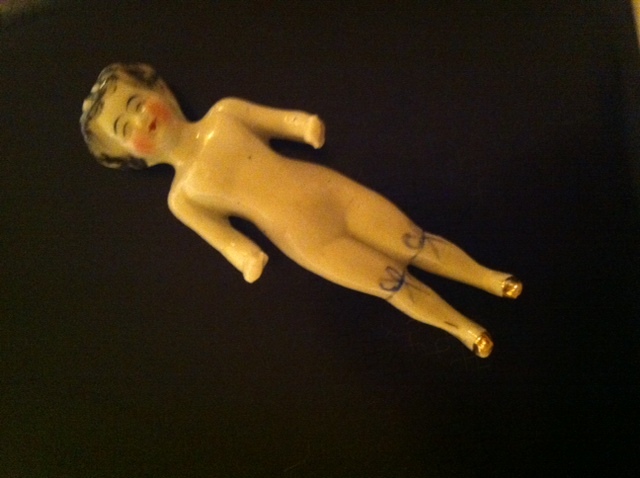 Moving house is a strange thing. Your home is meant to be the most familiar, safest place in the world but, when you first move somewhere new, there’s that weird alien feeling that lingers for a while until you get properly settled in. When I first moved house at thirteen I had nightmares for a while afterwards about discovering old blood stains under the carpets, or somehow finding out that someone had been ghoulishly murdered in one of the upstairs rooms. There’s something particularly creepy about the idea that the haunted threat occurs in the place where you actually live because there’s no easy escape from that. You can’t just remove yourself from the haunted location and go home when you are already home. At university I studied Law, and whilst everyone else was exploring sensible topics for their dissertation (most of them fiendishly dull) – like court remedies for breach of fiduciary duty, or how to combat online copyright infringement, or deal with shared residence orders – I decided, instead, to look at haunted houses and how property law deals with the possibility of the existence of ghosts. 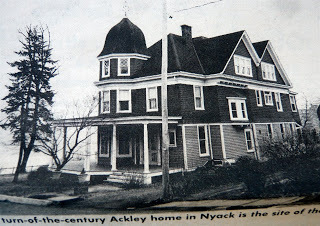 The American case of Stambovsky v Ackley (otherwise known as the “Ghostbusters ruling”) saw the New York Supreme Court uphold an appeal brought by the buyer of a house who objected to the seller’s failure to warn him that the property was haunted. The sale was rescinded as a result, and a new buyer had to be found for the house. I find this fascinating as it almost seems to be a recognition by the court that ghosts do, in fact, exist. After all, if there’s no such thing as ghosts, then how can a seller be penalised for failing to warn someone of them? 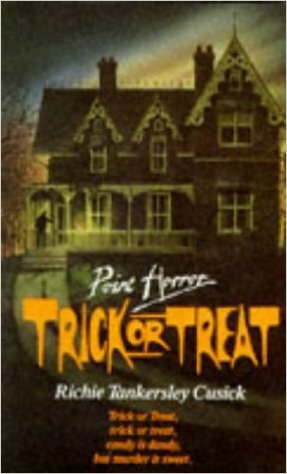 I’m sure many people would be unnerved by the thought of moving into a house where something terrible occurred, and Trick or Treat plays on this fear brilliantly. It’s a familiar concept, but I’m also a sucker for stories where a character arrives somewhere new and meets lots of strange and unusual people. When Martha arrives at the house, she has to share it with her new step-brother, Connor, who she is only just getting to know, and isn’t sure if she likes. There’s also a host of new kids at school, all of whom have more knowledge about the historic murder than Martha does, and, of course, we know that any one of them could be the actual killer. This kind of format reminds me of gothic mysteries in the style of Victoria Holt or Daphne du Maurier – and definitely played a part in shaping Frozen Charlotte. As well as generous lashings of horror, Trick or Treat also has mystery, suspense, a dash of romance – and interesting characters that you really come to care about. There’s an Octavio Paz quote that says: “A writer is the descendant of other writers.” I absolutely believe this is true. My ideas for my own books are born, to some extent, from all those books I’ve read before. I’ve always thought of the Red Eye titles as being a little messed up family – and if they are like siblings to each other, then surely they are also the demented grandchildren of the original Point Horror novels too. A huge huge thank you to Alex for featuring on Tales and a huge round of applause for such a fab guest post! 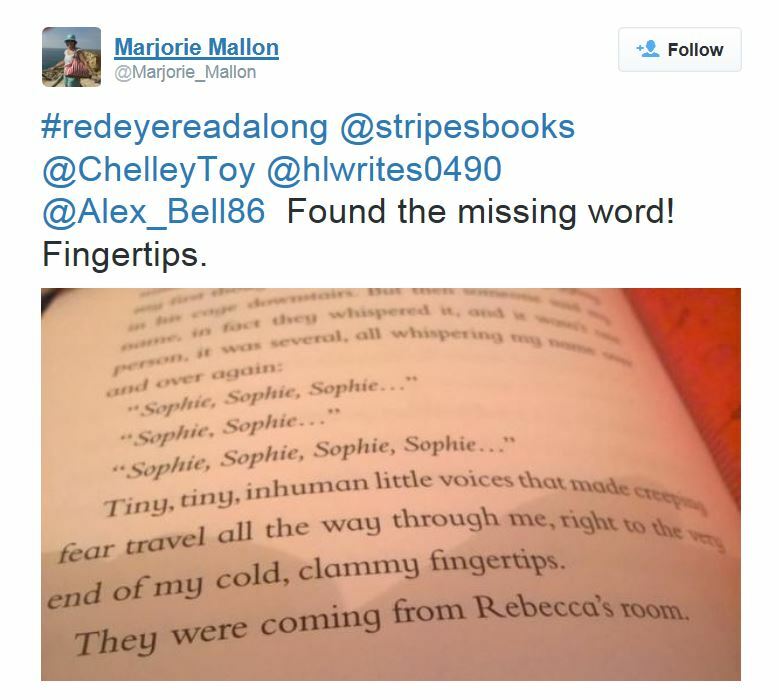 This entry was posted in Book Club, Guest Post, Horror, UKYA, YA and tagged Alex Bell, Frozen Charlotte, Guest Post, PHBC, Point Horror, Red Eye, Scholastic, Stripes Publishing on November 14, 2015 by Chelley Toy. Today I am honoured to have the lovely Alex Bell, author of Frozen Charlotte, talking to me about The Twilight Zone! Many of the creepiest scenes I’ve seen on TV haven’t come from horror films but from old black and white episodes of The Twilight Zone. I’ve always loved the understated spookiness of the show, and the focus on chilling ideas rather than gory splatter-fests. One of the scenes that sticks in my mind the most is from an episode in series 1 called Mirror Image. In this episode a 25-year-old woman named Millicent Barnes is waiting in a New York bus depot on a rainy November night for the bus that will take her to her new job in Cortland. It’s 2-o-clock in the morning and the bus is late so she goes up to the ticket counter to find out when it will arrive. It’s the first time she’s asked so she’s surprised when the man behind the desk is grumpy with her for repeatedly pestering him with the same question. She thinks he must have her confused with someone else but, for the rest of the episode, other people at the depot claim to have just seen her or spoken to her too. Millicent thinks there must be some other young woman around who looks a bit like her and that people are confusing the two of them. Eventually, she goes into the bathroom and – while looking into the mirror there – the door behind her opens and she sees her exact double sitting on the bench she’s just vacated out in the waiting room. The woman isn’t merely a lookalike, but a perfect mirror image – even down to the same haircut and outfit. By the time Millicent gets out to the waiting room, her double is gone, but she becomes convinced that the woman is an evil version of herself who’s come to take her place in the world. Finally, the bus arrives. Millicent goes outside to get on board, only to see that her double is already there in her seat, looking out of the window at her. The moment when Millicent sees her, smiling smugly through the glass, is one of the creepiest scenes I’ve come across on television. There’s no blood or gore or outright violence, but the insidious nature of the threat, and the fact that no one believes her about it, is what makes it so terrifying. You never find out for sure whether Millicent’s theory is right – and the double herself never speaks directly to her or interacts with her in any way, so you can’t know what she wants, or why she’s there, or what the heck is going on. 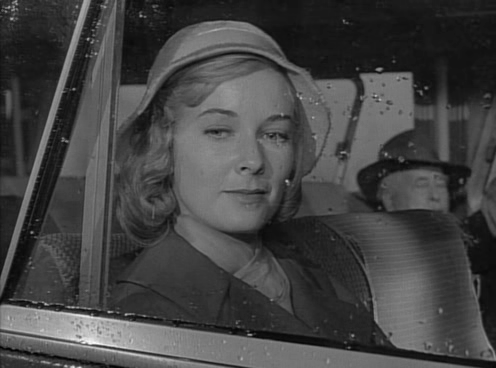 But I love this episode and I think The Twilight Zone in general has definitely influenced how I view the horror genre. Rod Serling is supposed to have got the idea for this story when he was in an airport one time and noticed a man wearing the same clothes and carrying the same suitcase as himself – and he wondered what would happen if the man turned around and was revealed to be his exact double. You don’t need any blood or guts when you have brilliant atmosphere, a strange experience, the sense that something isn’t quite right, or simply the fear that you’re losing your mind. The Twilight Zone does all of this fantastically well. 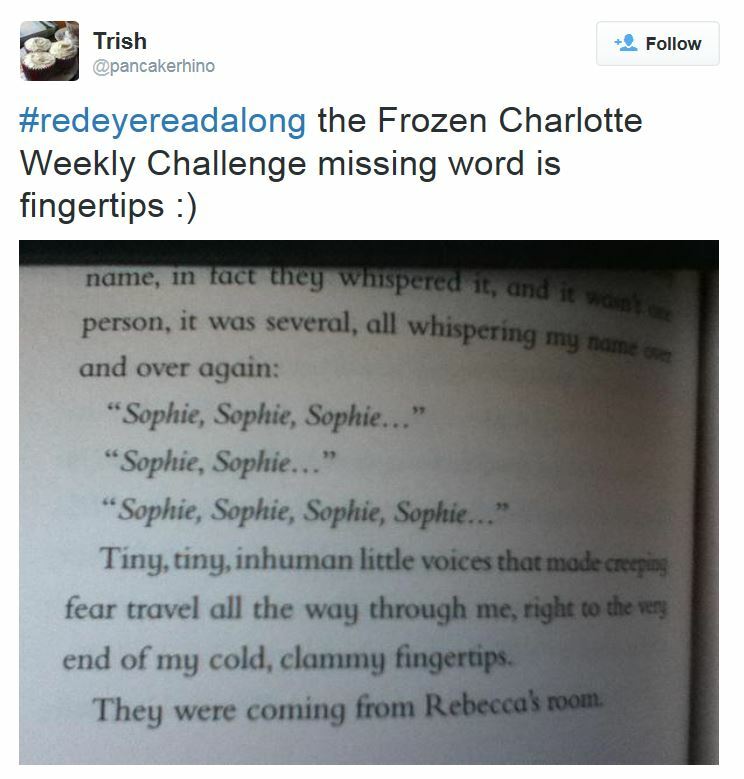 You can also find out more about the RedEyeReadAlong here and the Frozen Charlotte Read Along here which includes details of the weekly challenge. 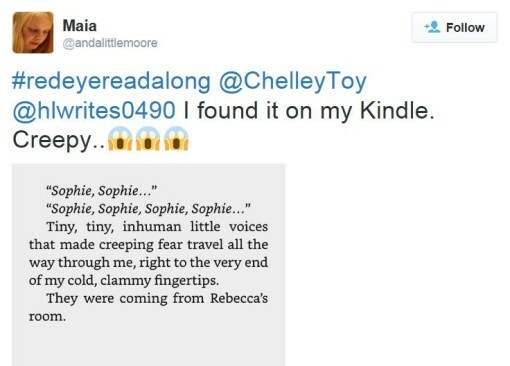 This entry was posted in Guest Post, Horror, Read Along, UKYA, YA and tagged Alex Bell, Do YA Read Me, Frozen Charlotte, Guest Post, Horror, Read Along, Red Eye, Stripes Publishing, UKYA, YA on October 1, 2015 by Chelley Toy. 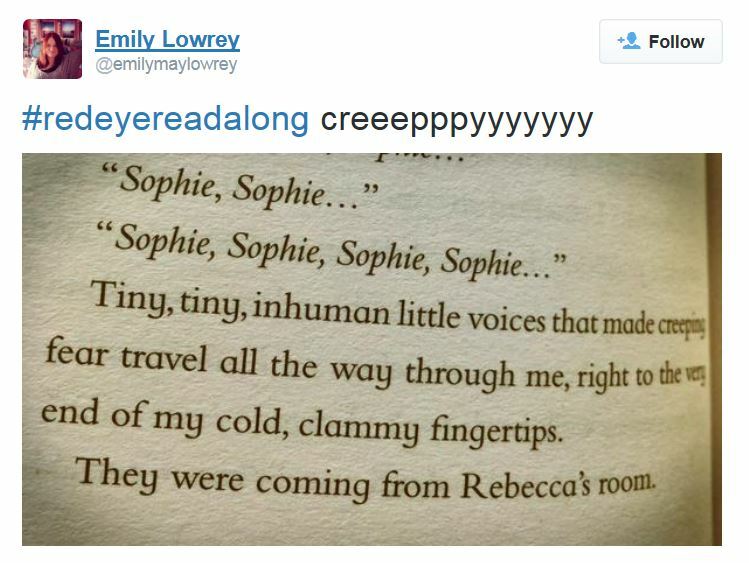 Or a creepy video announcement by @hlwrites0490 ! 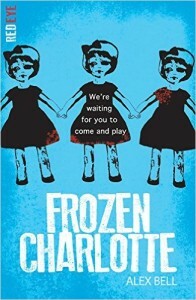 This entry was posted in Horror, Read Along, UKYA, YA and tagged Alex Bell, Frozen Charlotte, Horror, Read Along, Red Eye, UKYA, YA on September 28, 2015 by Chelley Toy. 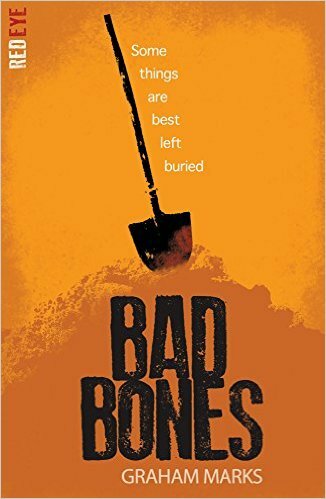 I was sent a copy of this book by the wonderful publishers, Stripes Publishing via Netgalley in exchange for an honest review. This does not affect my review or my opinions in any way. Thank you both for sending me this book to read and review. I love a creepy and scary read and Frozen Charlotte was really spine chillingly creepy. 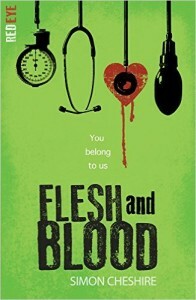 As some of you may already know I used to love the 90’s Point Horror series when I was a teenager as well as being a huge fan of James Dawson and I am excited about the whole premise of a new UK YA Horror series with a contemporary makeover that will leave me wanting to collect and read the rest in the series. For me, Frozen Charlotte did exactly that. Frozen Charlotte is set in a creepy old school house on a cliff on an isolated windy island where Sophie, our main character, finds hunting for answers about her cousin Rebecca’s death a dangerous, creepy affair! 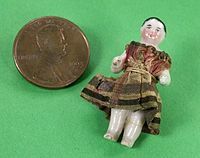 What’s more before Rebecca died she used to play with some small dolls she found in the house called Frozen Charlotte dolls and as well as looking creepy they may just be alive! 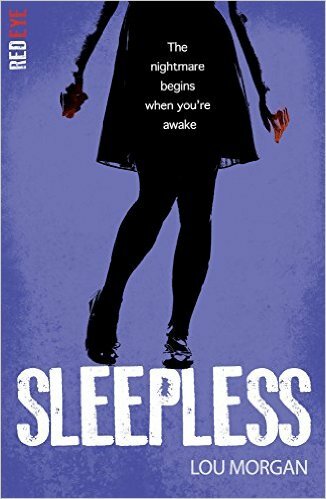 The start of this book gives us a chilling prologue set in the past many years before Rebecca’s death and gives us a short but spine chilling insight into what the reader should expect from this book and reading this late at night sent a shiver down my spine. Sophie’s story begins in a café in her hometown where her best friend Jay play with a Ouija board with a difference – on a mobile phone app. Sophie decides to suggest contacting her dead cousin Rebecca Craig who died in a mysterious accident at Sophie’s Uncles house in Scotland. Sophie finds the whole thing rather funny. Even the messages on the Ouija App like Black Sand, Daddy Says Never Leave The Gate Open and Charlotte Is Cold do little to convince her of a ghostly presence answering their questions. That is until a scary moment happens in the café which changes Sophie’s life forever and leads her to go and stay with her Uncle in Scotland to find out the truth. Upon arriving on the island we get to meet Sophie’s Uncle and cousins. There’s mysterious musician Cameron, beautiful bubbly, Piper with her own unique way of making lemonade and sad cartilogenophobe (scared of bones) younger cousin Lilias who say the dolls talk to her! 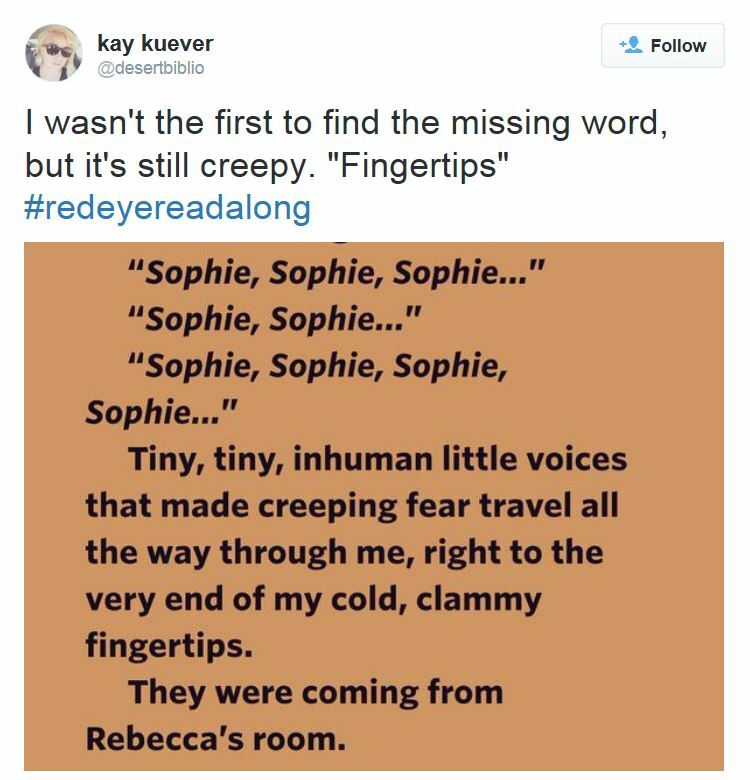 Sophie, our main character, is a strong and brave main character who reminded me a little of Neve Campbell in the Scream movies. I also want her sheep pyjamas and unicorn onesie as they just sound all kinds of fabulous! 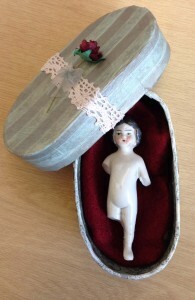 As well as the main characters there are Frozen Charlotte Dolls….lots of them…and yes they are very creepy! There is also a African Grey Parrot who gave me as a reader a little light relief mainly due to his inappropriate timing of saying things like “There’s Blood Under The Rug” which along with mysterious icy hands and mysterious laughing in the house made me wish I had not started this book in a quiet house at night! 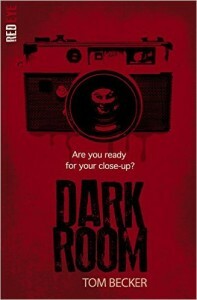 There are some classic horror movie scenes in this book and I could easily see this book being made into a film. For me the best most scary scene which I could actually picture myself hiding behind a cushion watching was where one of the characters hears something and goes to investigate! In the Dark! With only a camera flash to light her way illuminating the horror unfolding before her! I was terrified! Find out more about Frozen Charlotte Dolls here or about the cautionary tale concerning a young girl called Charlotte who refused to wrap up warmly to go on a sleigh ride to a New Years Eve Ball, but upon arriving at the ball, her fiancé discovers that she has frozen to death during the journey called the Fair Charlotte Ballad here. I really liked this book and one thing I loved about this book was all of the chapters begin with a short rhyming poem that tell the story of the actual Frozen Charlotte through the Fair Charlotte Ballad. 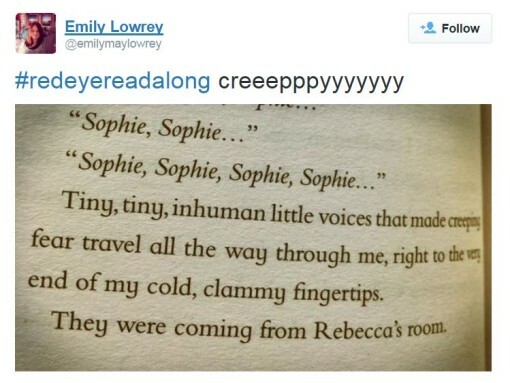 Along with the descriptions of the stick needles in your eyes Frozen Charlotte dolls throughout the book it really sets the tone and it was really creepy. The climatic ending got my heart racing and had a Point Horror style twist that was perfect. Alex Bell has done such a fantastic job with this book. I honestly will be telling everyone to give it a try and I will be reading the next books in the Red Eye Series. 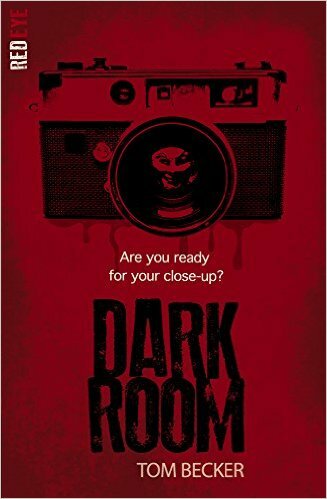 Its not that scary…just quite creepy with a real horror movie vibe and I really would recommend it to any YA Horror fans alike or any one looking for something different to read. Even if your too scared for horror….give it a go…you don’t want the Frozen Charlotte Dolls after you do you? Also check out my creepy interview with a twist with a Frozen Charlotte Doll here! This entry was posted in Horror, Review, UKYA, YA and tagged 4, Alex Bell, Do YA Read Me, Frozen Charlotte, Horror, Red Eye, Review, Stripes Publishing, UKYA, YA on January 10, 2015 by Chelley Toy.